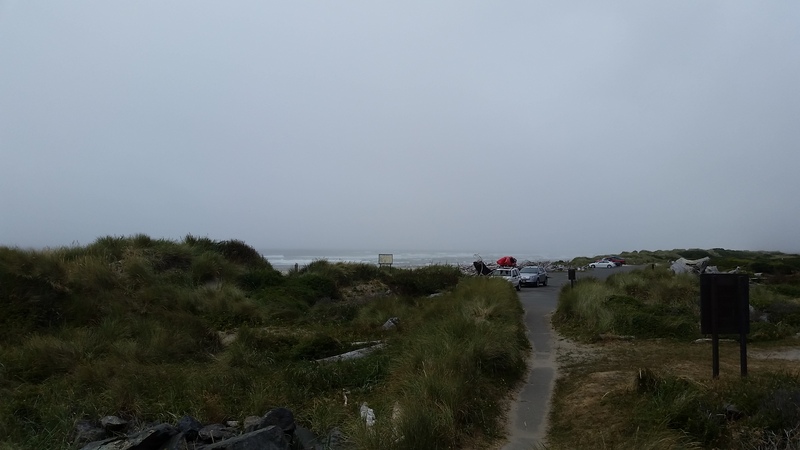 blueberries, Coquille River Lighthouse and the Town of Bandon – RV Cheaper! July 7, 2014 December 29, 2014 RV Cheaper! 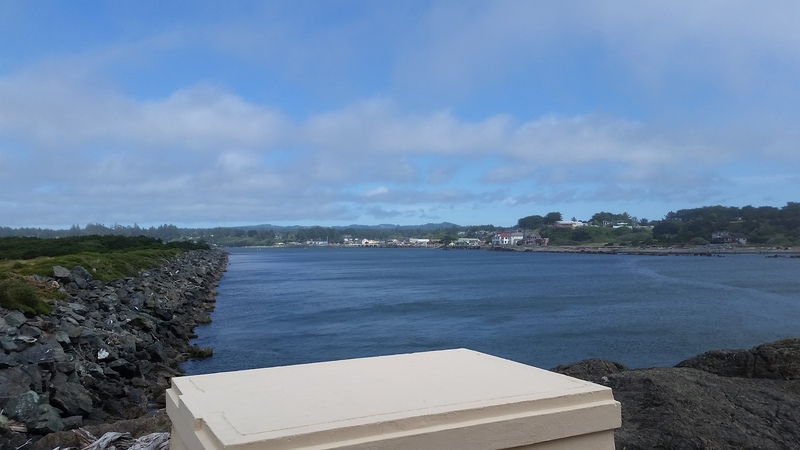 July 7th we managed to get to the Coquille River Lighthouse that I’ve read about on the Wheeling It blog. We had lunch at Foley’s Irish Pub on the other side of the river in Bandon, awesome food and selection of brews. We also visited some interesting places like Misty Meadows in between Port Orford and Bandon, lots of jams, jellies, sauces and other tourist trappings. Nice place but it sure does remind me of the Stuckey’s stores scattered across the midwest years ago. On the way back we stopped at a farm where you could pick your own Blueberries, being a tourists from the Desert I’m sure we would have died if we missed out on picking the berries. The Coquille River Lighthouse is not active like Cape Blanco, but it was great to see it in person after reading about it on Nina’s Wheeling It article I’ve linked to on this photo. Looking toward old town Bandon on the banks of the Coquille River. 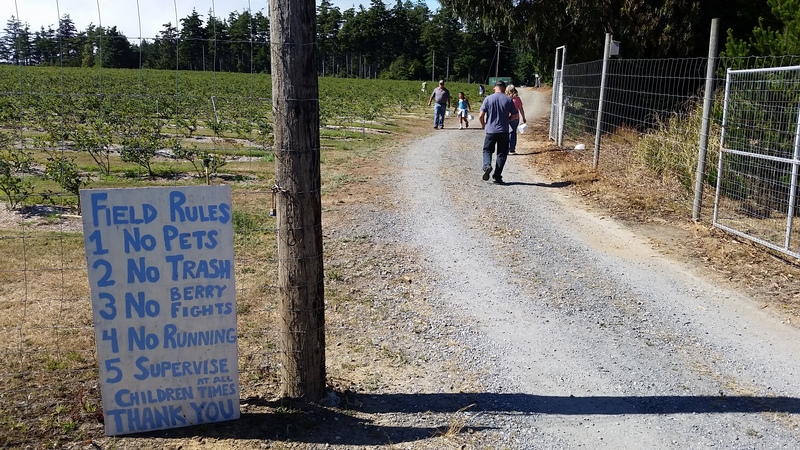 Great Blueberry picking, but 5 rules??? 🙂 I just don’t remember seeing a name for the place on the sign but the address was 87247 Sydnam Rd (Bandon, OR) and the berry patch was about 3/4 mile west of Highway 101 at GPS Coordinates 42.975687, -124.434959 if the address does not work on your GPS. Be sure you drive slow because there’s a grumpy man living in a trailer half way to the berry patch, I think we were only going 7 mph and he still came running out of the house to yell at us. 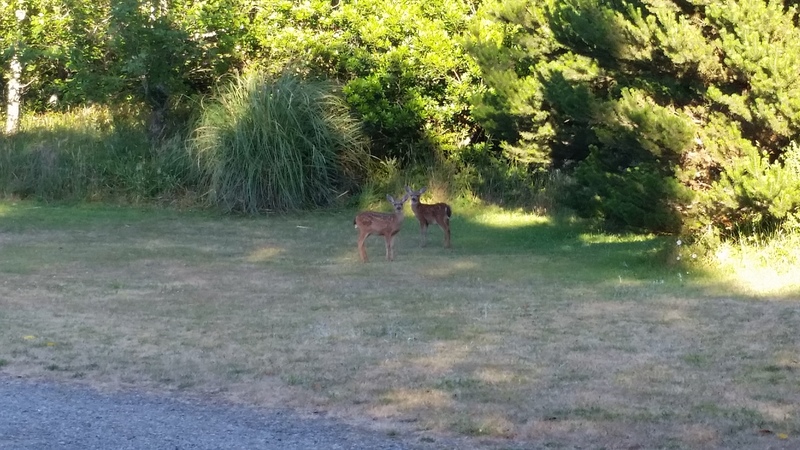 Some fawns came into camp that evening, we didn’t see mamma but I’m sure she is the doe we saw the day before. Previous deer, fish and berries, life’s a beach!